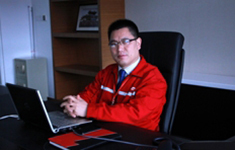 CEO of Shanghai Triowin Intelligent Machinery Co.,Ltd, marketing and management talents, graduated from Jingzhou city of Hubei Province, School of Finance and trade, have a solid theoretical foundation and rich management experience. Mr.Frank Yi's Motto: How big the heart is, How big the stage is, the attitude decides on everything! Mr. Miller She's Motto: its word to deed, do business and life to be honest! 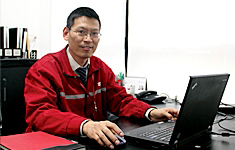 General Manager of The second Robotics Sales Department of Triowin, Member of the Board, President of the Robotics Research Institute, expert on handling pallet packaging robot turnkey engineering, graduated from Shanghai University, one of the first domestic designer for handling pallet packaging robot, successfully guide the design and implement handling pallet packaging robot turnkey solution for many famous enterprises and research institutions both domestic and abroad. 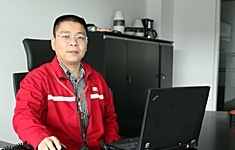 Mr. Atomu Tong's Motto: Merging worldwide top technology to be Chinese Expert for handling robot. 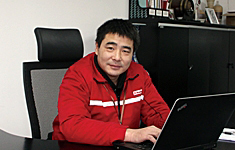 Member of the board, expert on fruit juice/paste turnkey solution engineering, graduated from Shanghai University, one of the first domestic designers of complete sets of tomato paste production line, mainly responsible for fruit and vegetable processing equipments and chief supervisor of large project design and development, successfully guide the design and implement fruit juice/paste turnkey solution for many famous enterprises and research institutions both domestic and abroad. 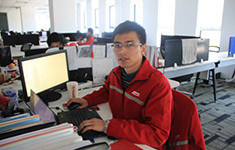 Mr. Fraser Chu's Motto: Science is the vitality of enterprises, facing the difficulty is to show our inherent. 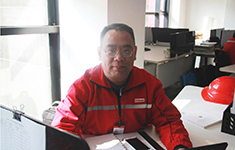 Vice President of Robotics Research Institute，graduated from Okayama University in Japan. Engaged in motion control research and project management, successfully guide and implement numbers of robot R&D projects.